The Kuwait government has promised to continue assisting people of Malawi in various areas as a way of contributing to the social and economic development of the country. The pledge was made when Malawi’s new Ambassador to Kuwait, Wilfred Ali, presented his letter of credence to His Highness Sheikh Sabah Al-Ahmed Al-Jaber Al-Sabah, the Amir of the State of Kuwait, who accredited him as Ambassador extraordinary and plenipotentiary of the Republic of Malawi to the Gulf Arab state. Al-Sabah said he regards highly the government of Malawi for its commendable commitment to improving the livelihoods of the people of the country. In his remarks, Ambassador Ali assured the State of Kuwait that during his tour of duty, he will strive to further consolidate the bilateral relations already existing between the two countries. Ambassador Ali conveyed Malawi Government’s appreciation to the State of Kuwait for its continued support towards Malawi’s development in various sectors through the Kuwait Fund for Arab Economic Development, OFID and the Arab Bank for Economic Development in Africa (BADEA). He further thanked the Government and the people of Kuwait for the continued assistance to Malawi through charitable organizations such as Direct Aid which he said are significantly contributing to the social and economic development of the country. 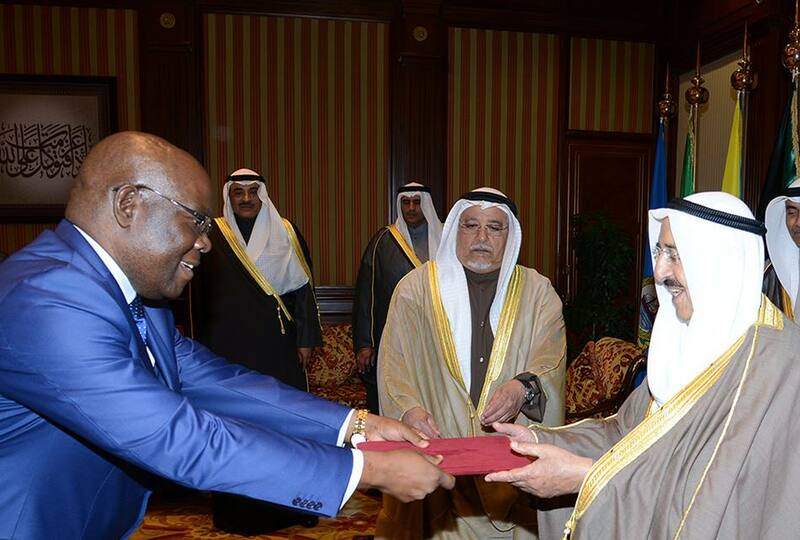 Malawi has benefitted significantly from her relations with Kuwait especially through infrastructural development. Among others, Kuwait has financed construction of the Zomba–Jali–Phalombe-Chitakale road, Thyolo–Makwasa-Bangula road, and the recently approved Machinga-Chingale-Lirangwe road projects through the Kuwait Fund. Ambassador Ali replaces Mr. Younos Abdul Karim and is also accredited to nine other countries including Bahrain, Saudi Arabia, Iran, Iraq, Qatar, United Arab Emirates, Pakistan, Oman, and Yemen. So they can come and steal our resources? Ffs! Malawi Kodi Bwanji? Zikuoneka Kuti Wapanika Heavy.Zikavuta Dzikoli Tingophatikizana Ndi Mozambique Then Ife Tikhala Ma Mozambiquans, Palibenso Za Malawi Apa. mwayiyambayo nde ndi boko halamu mudzasowetseso adzakumalizani one day..
Koma anthuwa alindi ndrama atithandize kumene inuanundimaso kumene mumati mutani?. UMPHAWIWU ANTHU AKUNGOT AKALONJEZA THANDZO LISANAFKE TATHOKOZERA2 KKKK BOLA TISASINTHANE ND MA ALBINO KAPENA CHNA CHAKE. Ndiye kakhala asilamu nde atan? Osalithandiza iweyo bwanj? Those Arabs are after our oil and gass in our lake Malawi nothing else.